Salvador Dali is considered as the greatest artist of the surrealist art movement and one of the greatest masters of art of the twentieth century. During his lifetime the public got a picture of an excentric paranoid. His personality caused a lot of controversy. After his death in 1989 his name remained in the headlines. But this time it was not funny at all. 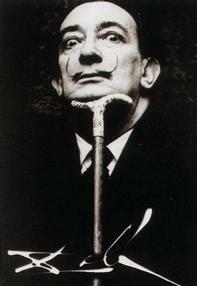 The art market was shaken by reports of great numbers of fraudulent Dali prints. What's all behind it?